Create a job-ready resume within 5 minutes! 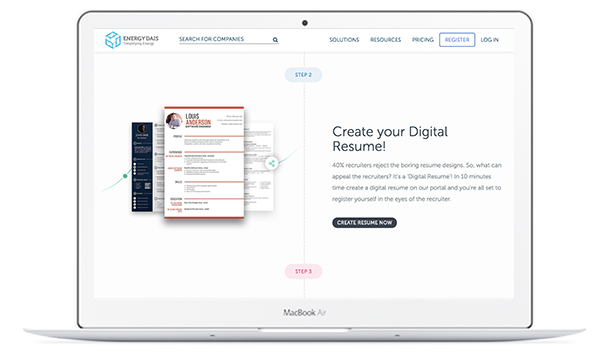 Make an everlasting impression on recruiters with your Digital Resume. 2. Fill in and update your information, publish and share. REPRESENT THE BEST OF YOURSELF WITH PROFESSIONAL RESUMES. A well-crafted professional resume can help you make a far-reaching impact. To make that first great impression, we offer the most relevant resume template options to meet each job seeker’s needs. With our professional templates, you will be able to highlight what the recruiters across the industry want to see and enhance your chances of selection. Add information that matters and edit the templates effortlessly. In a couple of minutes, you can introduce yourself with a Digital Resume that gets noticed by the best. Learning is a never-ending process for an oil and gas professional. 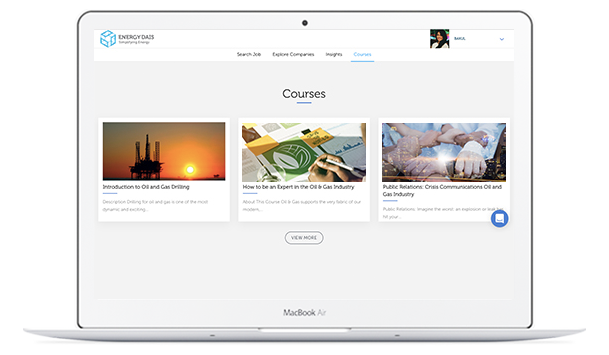 Energy Dais, in partnership with online learning platforms, brings to you highly professional and technical courses. Grow in your career with courses that are specifically designed for your cognitive development and stay competitive for the modern oil and gas industry.